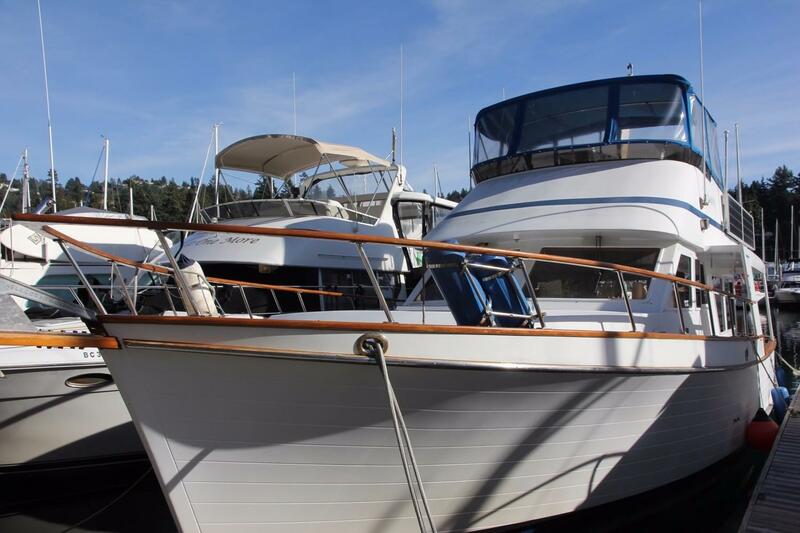 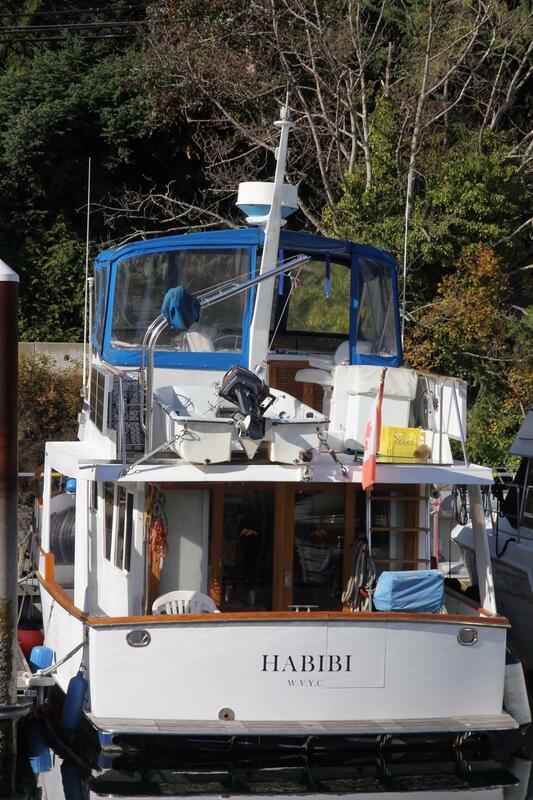 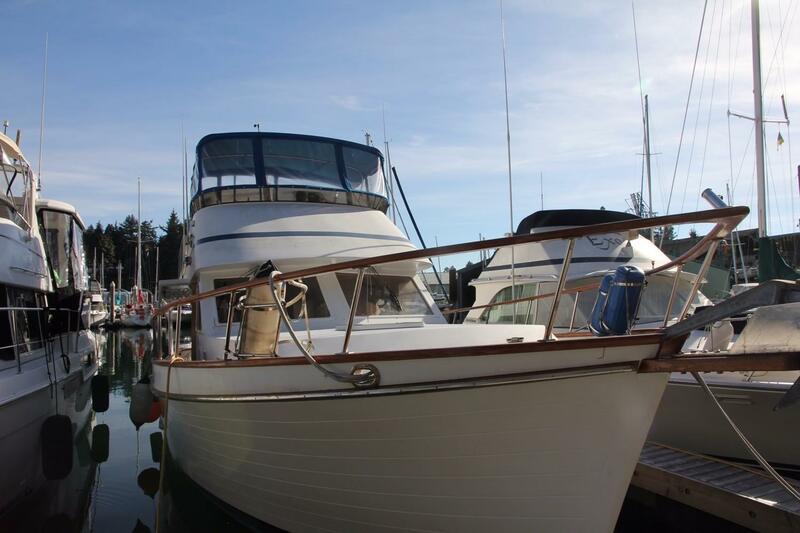 A wonderful example of a 40 Ocean Alexander Europa Sedan trawler style yacht ideally suited for exploring our Pacific Northwest waters. 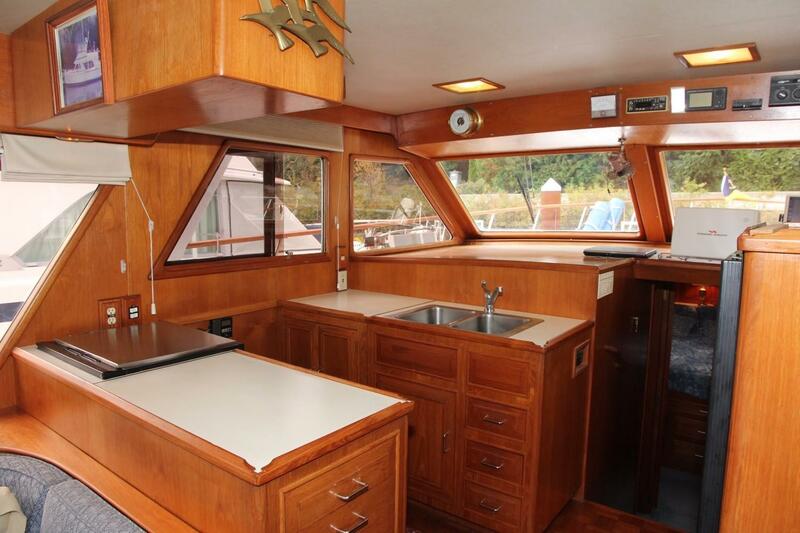 Walk around side decks, large foredeck, open cockpit and flybridge with canvas enclosures, tender and davit system, a bright spacious salon and galley, two guest cabins, separate shower and ensuite, Ford Lehman engines, generator, and furnace all desirable features and equipment providing for a reliable and enjoyable cruising yacht. 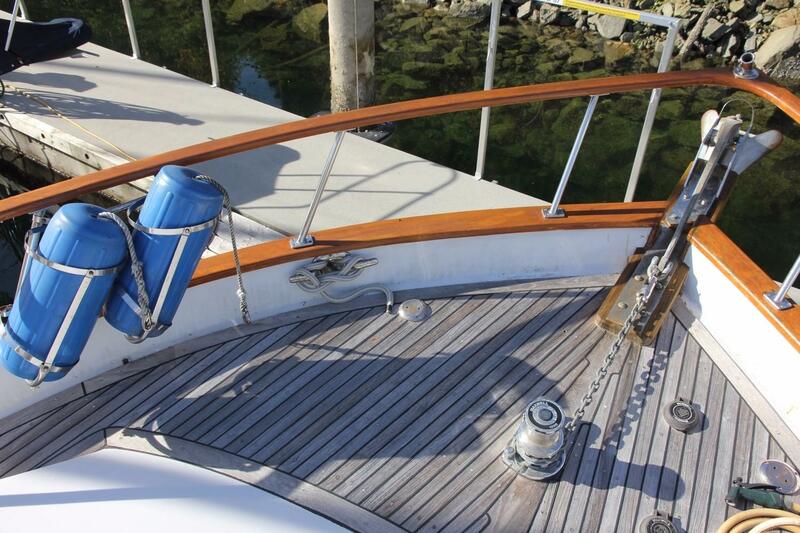 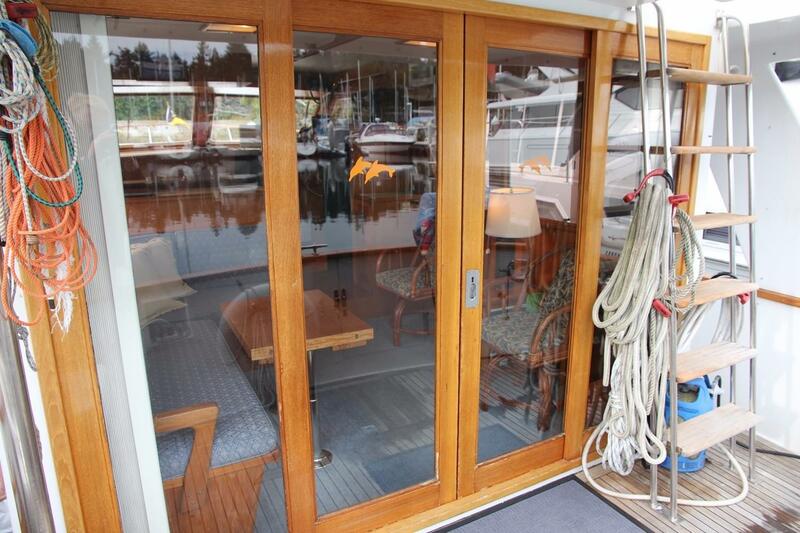 Step aboard through either side gates to the walk around side decks, or through the transom gate from the swim grid. 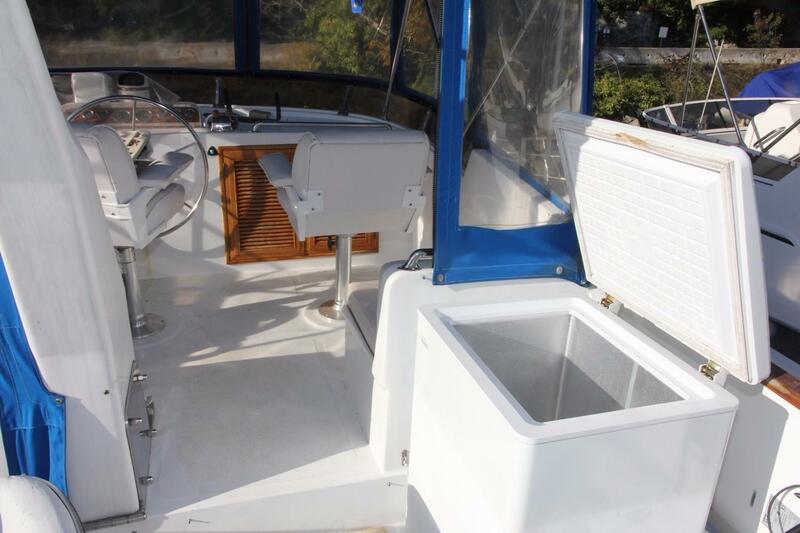 The cockpit is fully covered with lazzerette storage below and canvas enclosure. 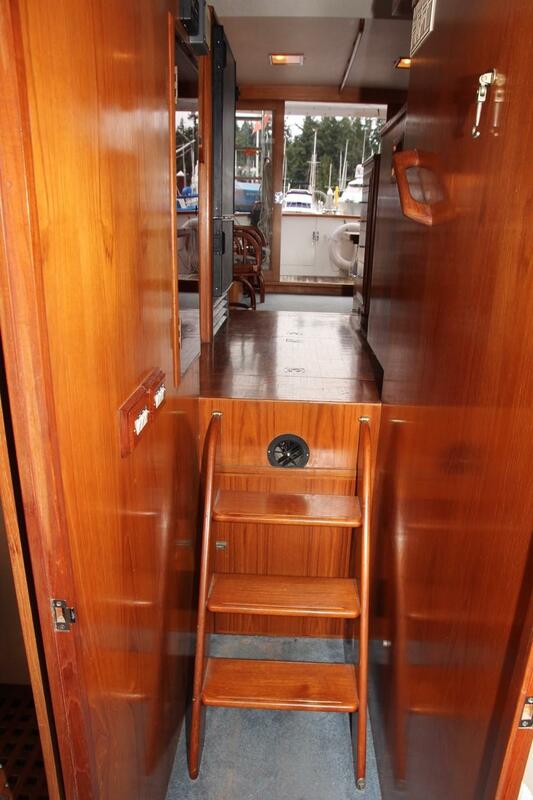 A ladder leads up to the flybridge with helm seating, canvas enclosure, deck freezer, tender and davit. 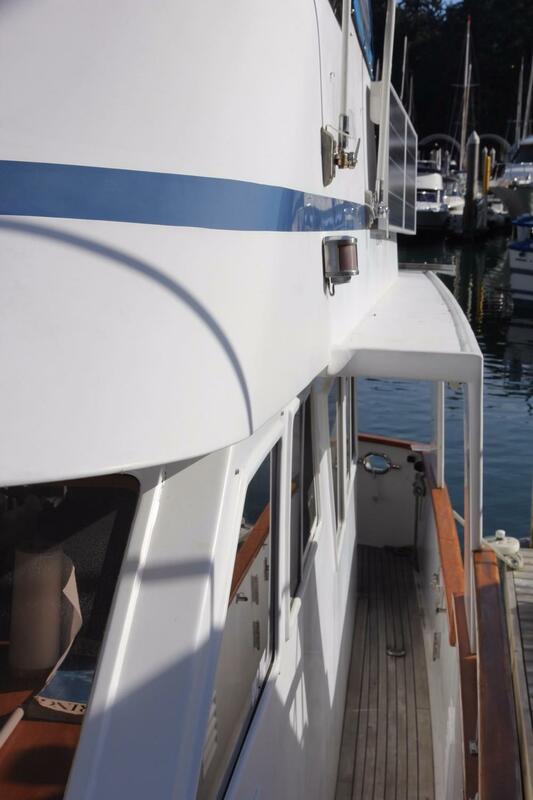 The covered side decks lead forward, past a helm door on the starboard side, to a vast foredeck, with fender racks and anchor winch. 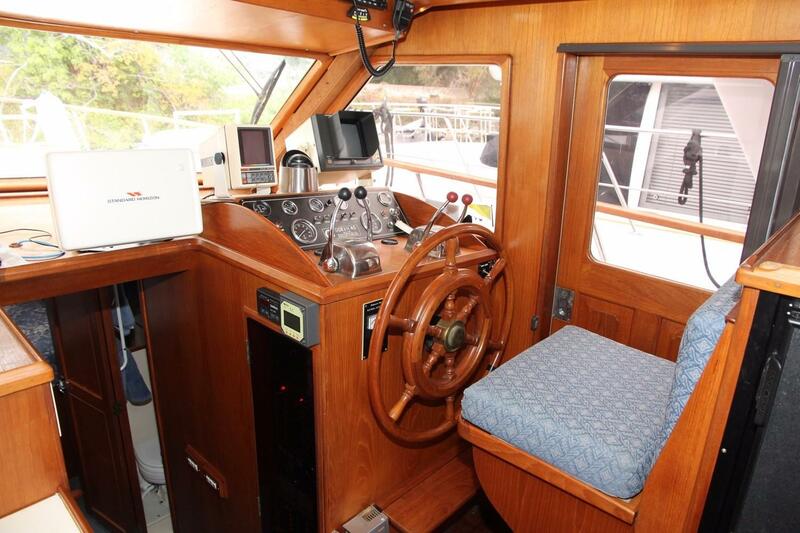 From the cockpit, enter the salon through double sliding teak and glass doors. 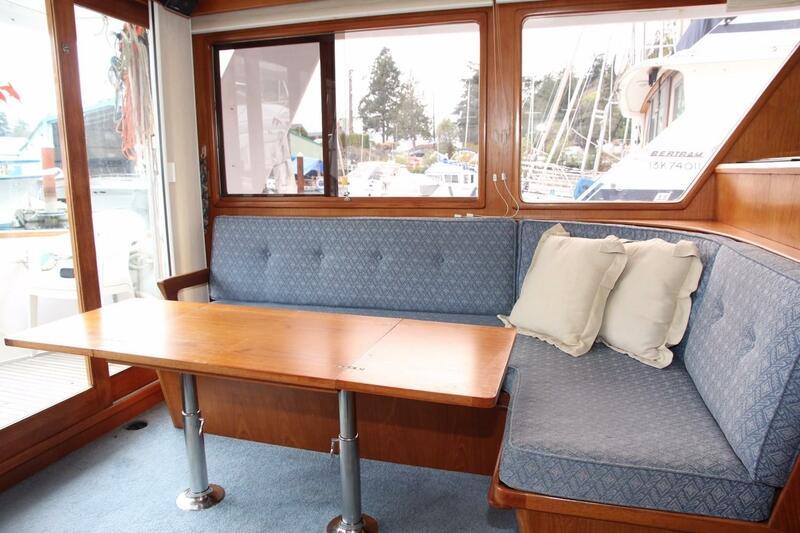 To port is a L-shaped settee and a hi-low table, that converts to a berth. 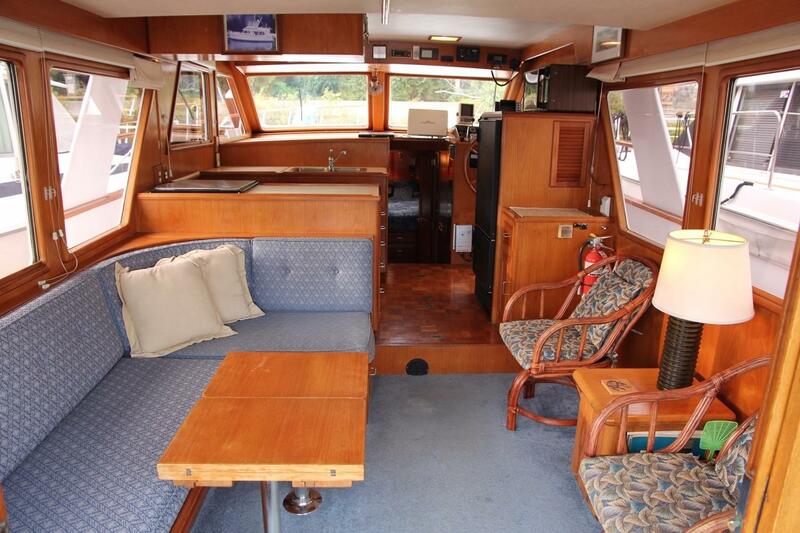 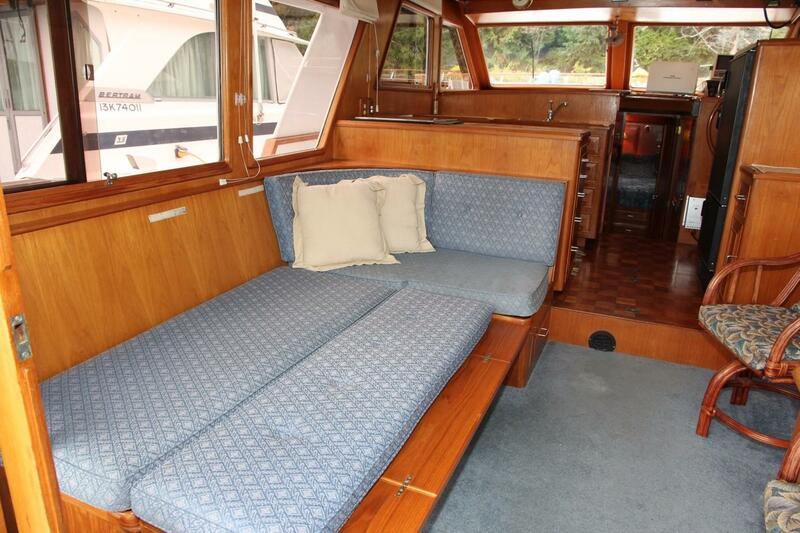 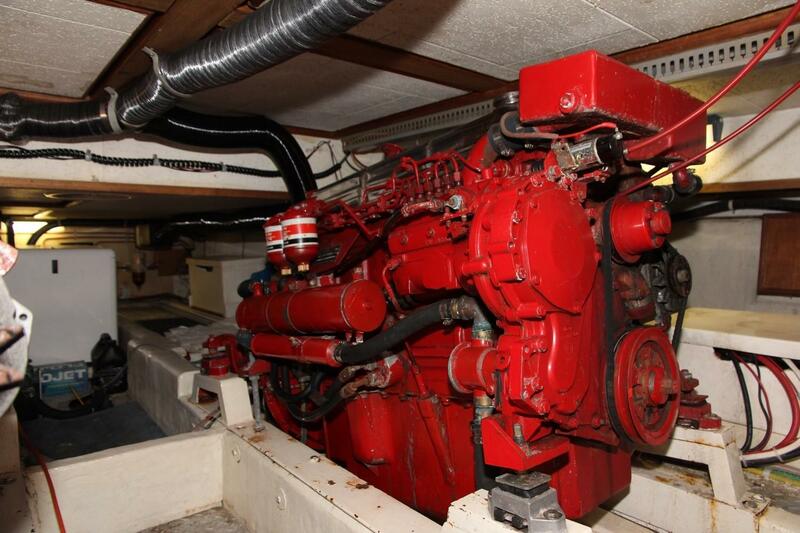 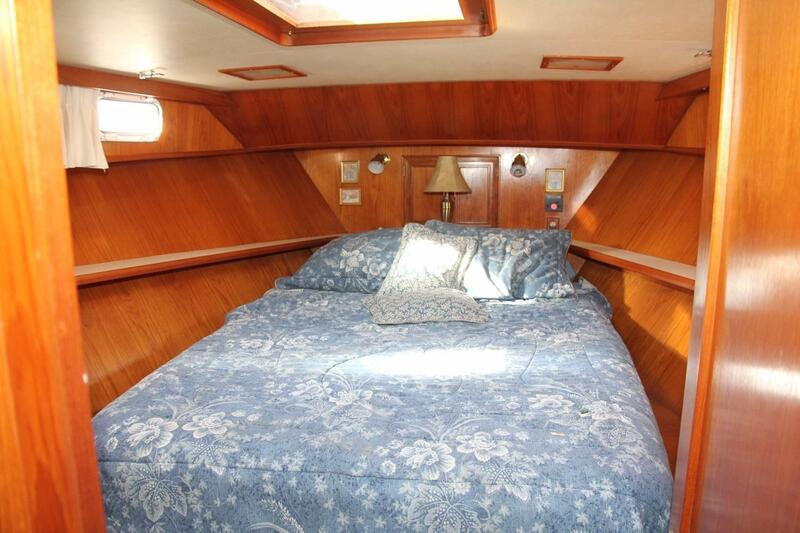 Forward of the settee is the remarkable U-shaped galley. 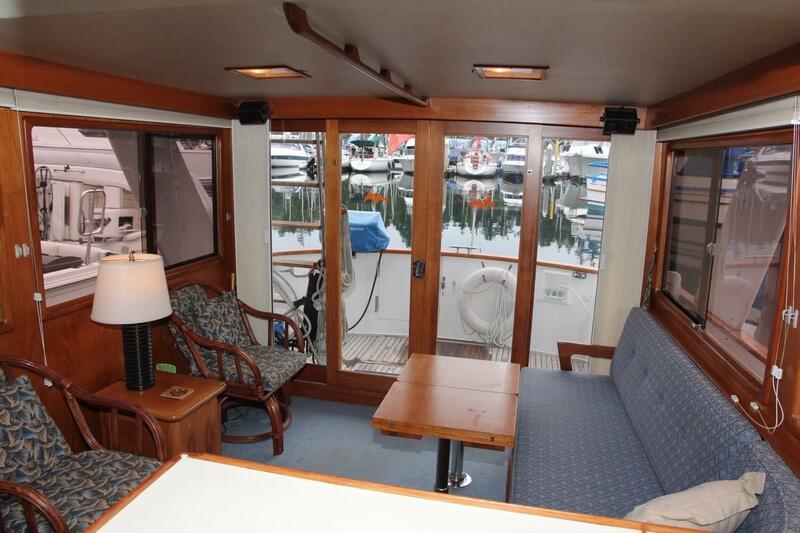 To starboard, from the salon doors are two barrel chairs, a small table and drawer storage. 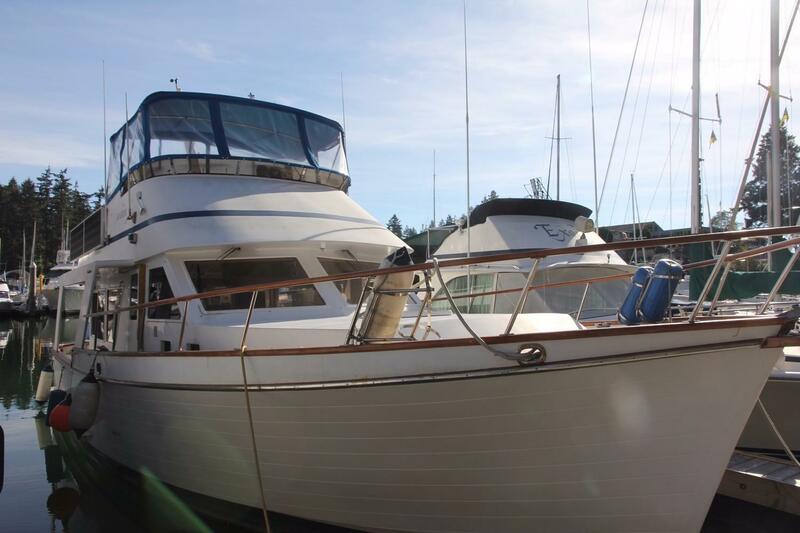 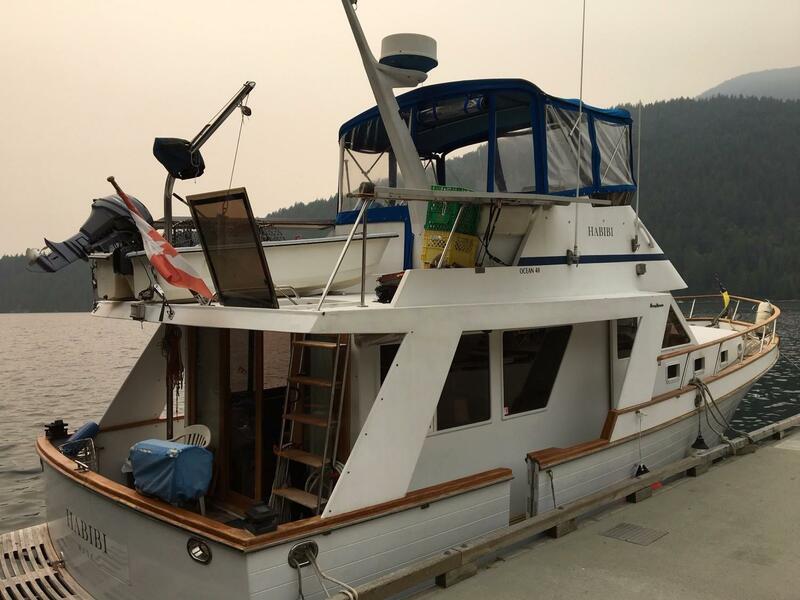 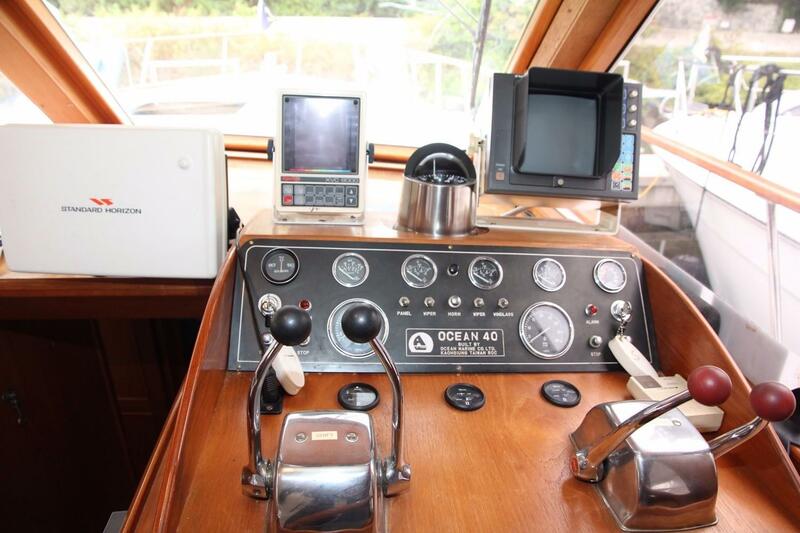 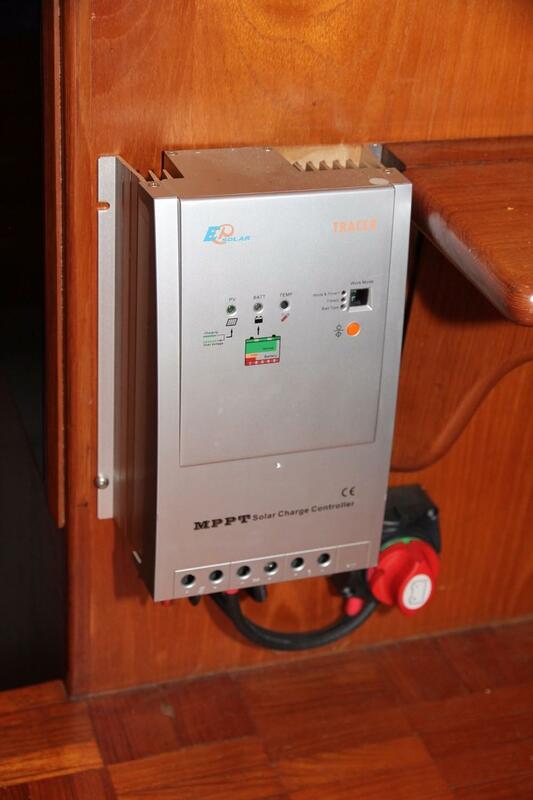 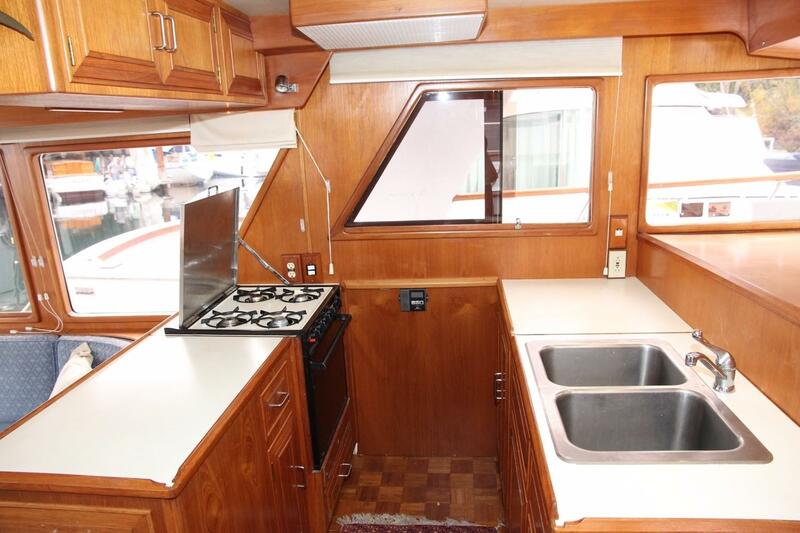 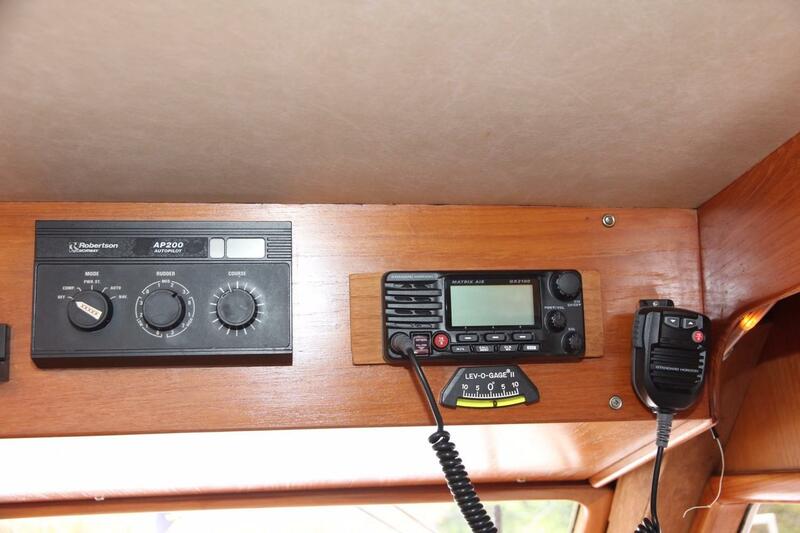 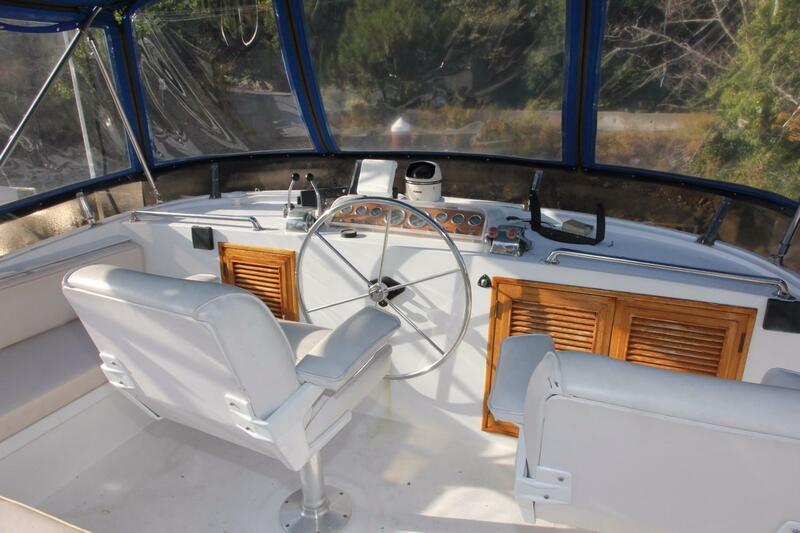 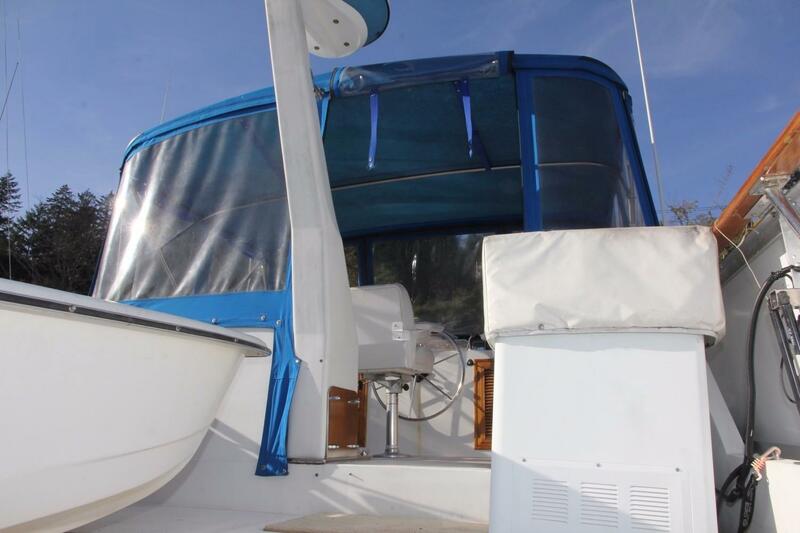 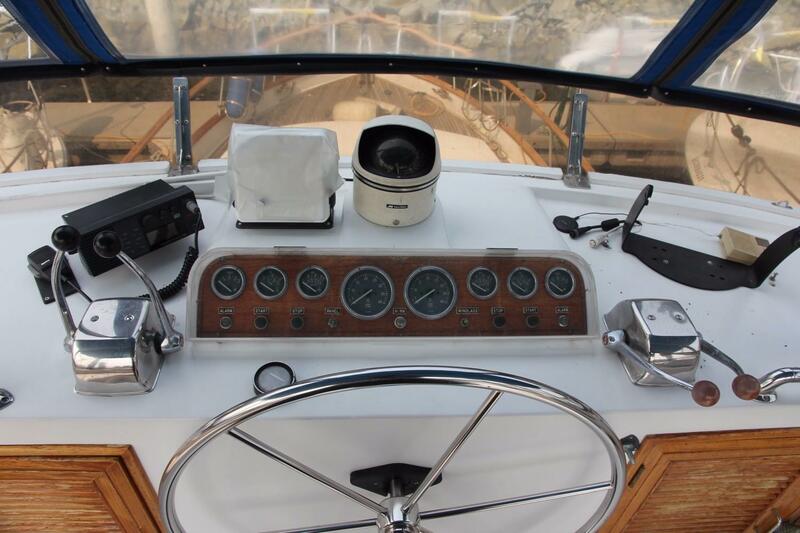 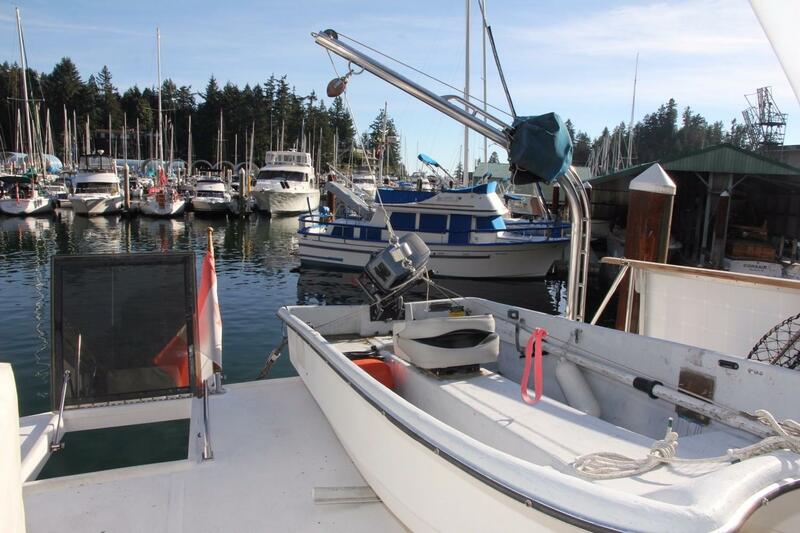 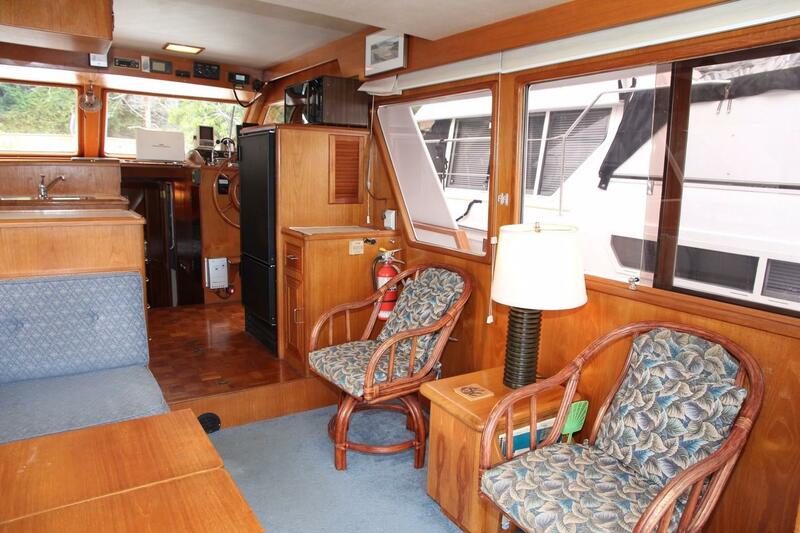 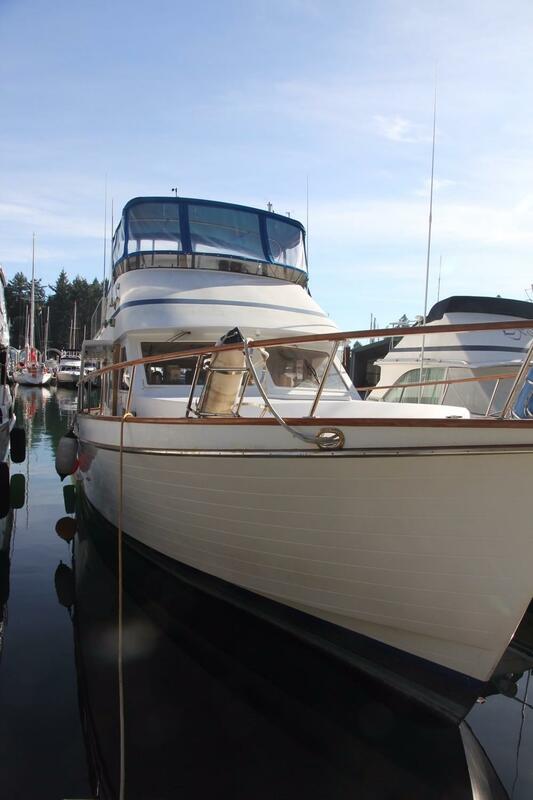 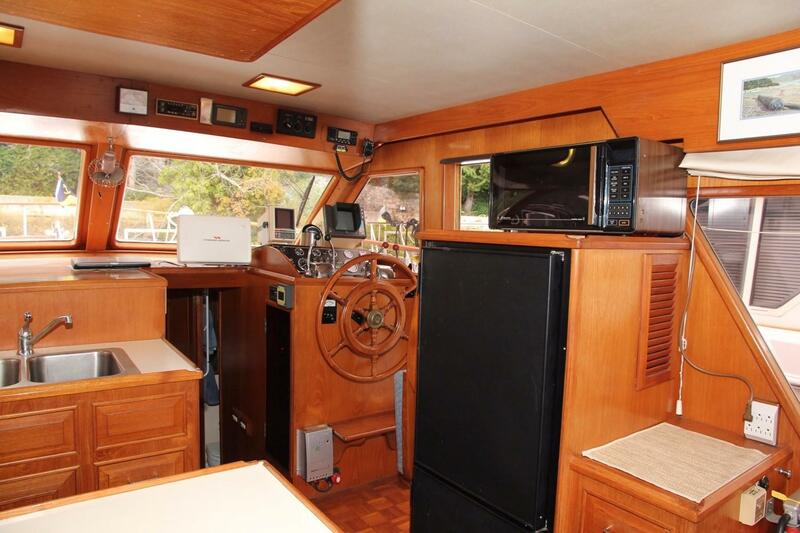 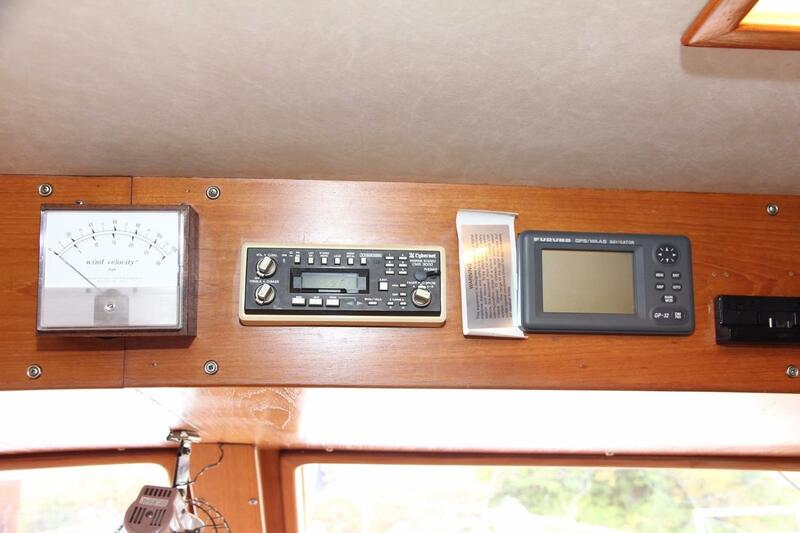 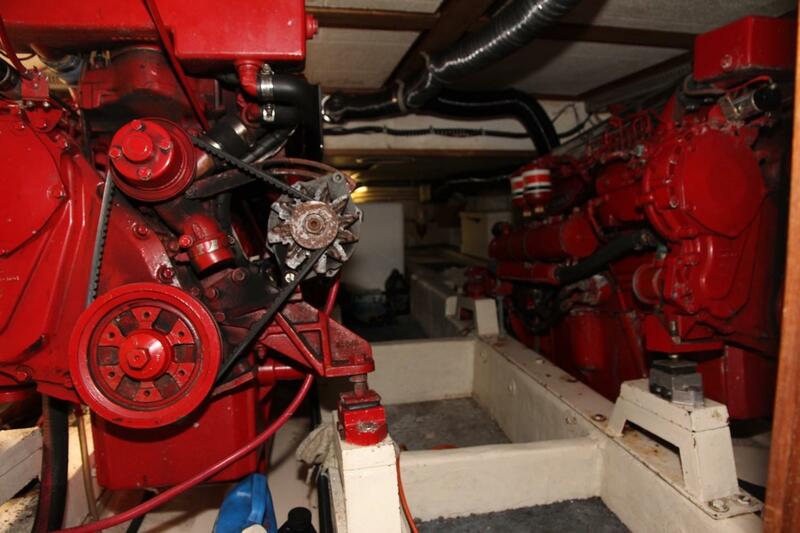 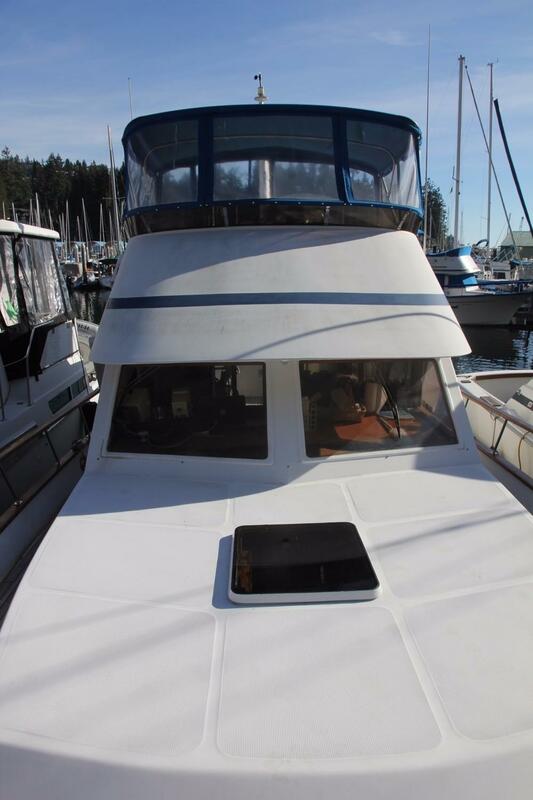 Forward is full sized fridge and microwave with the helm station and built in helm seat and door to the side deck. 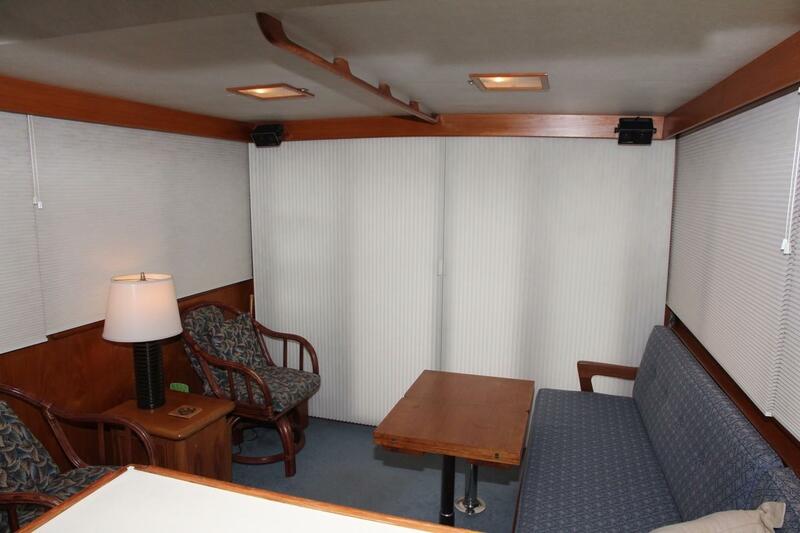 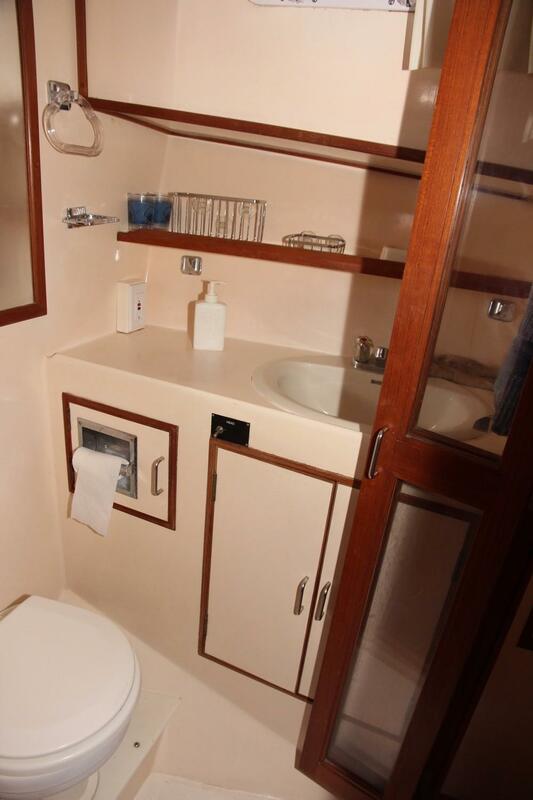 Down three steps to the companionway and forward is the master stateroom with centre line queen berth, shelves and hanging lockers on either side. 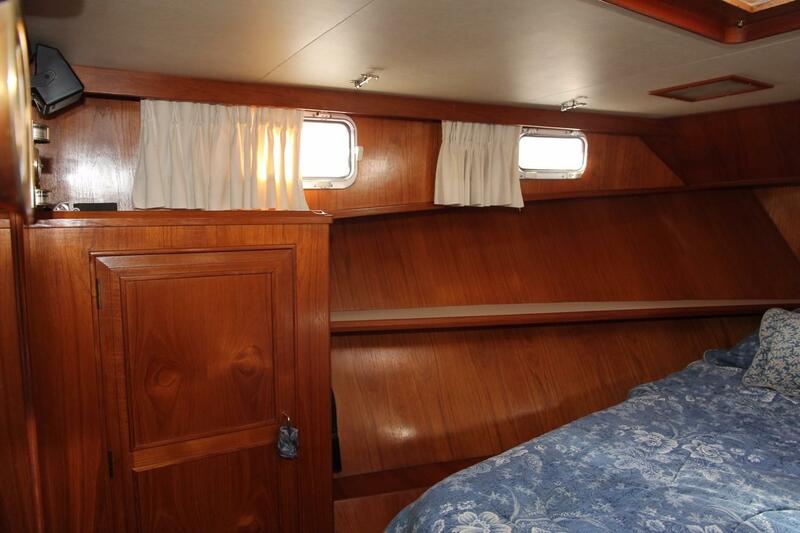 Portside is the guest accommodation with athwartship twin beds, and drawer storage. 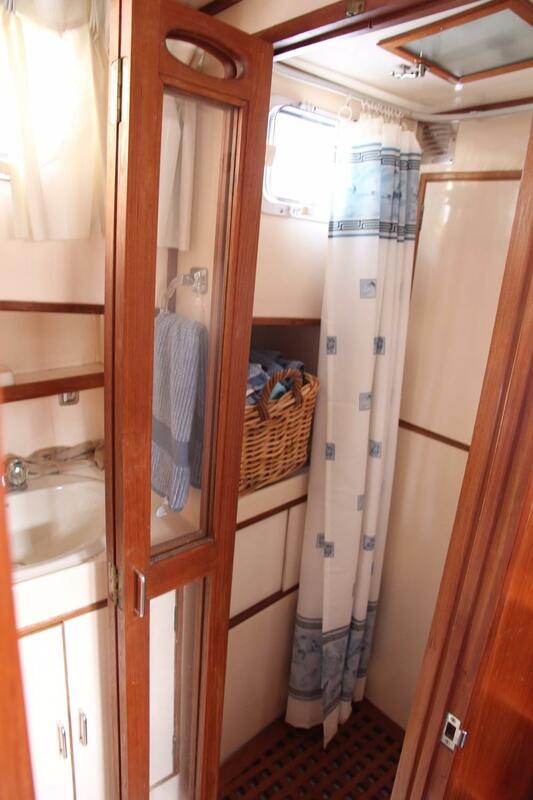 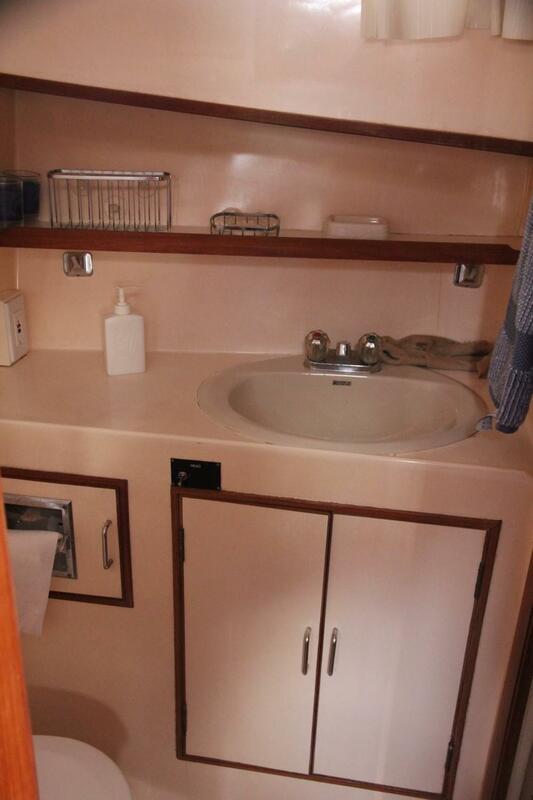 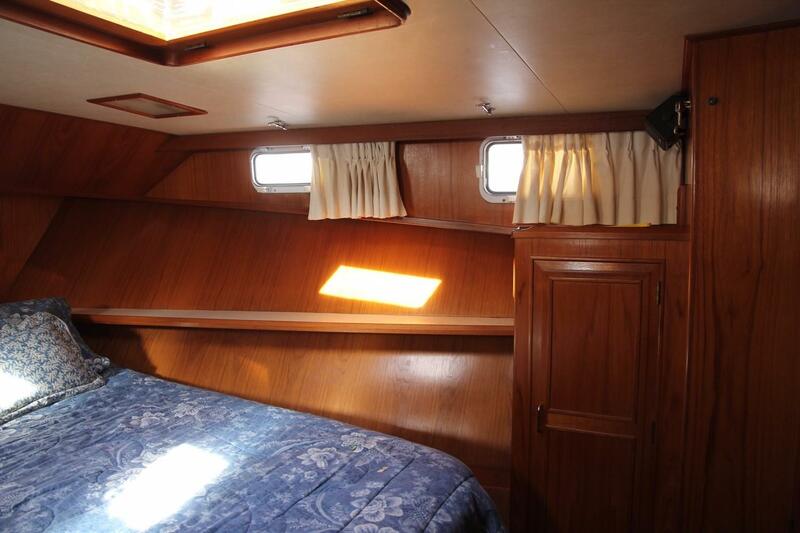 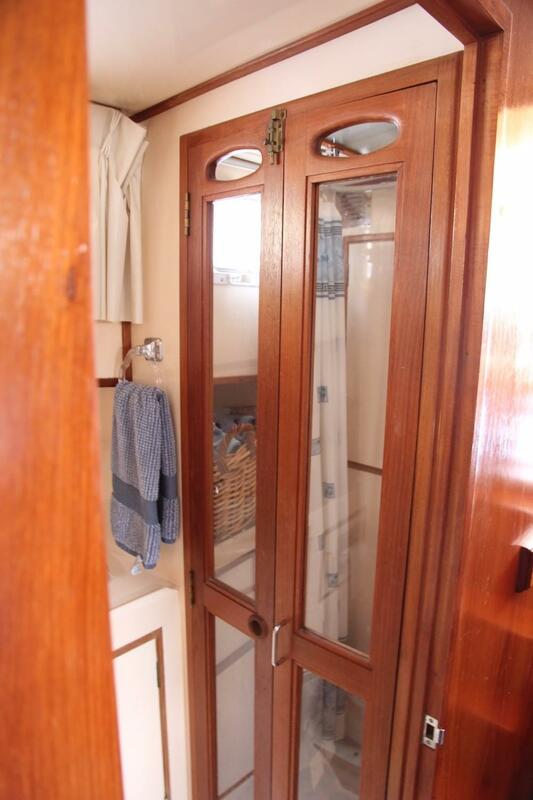 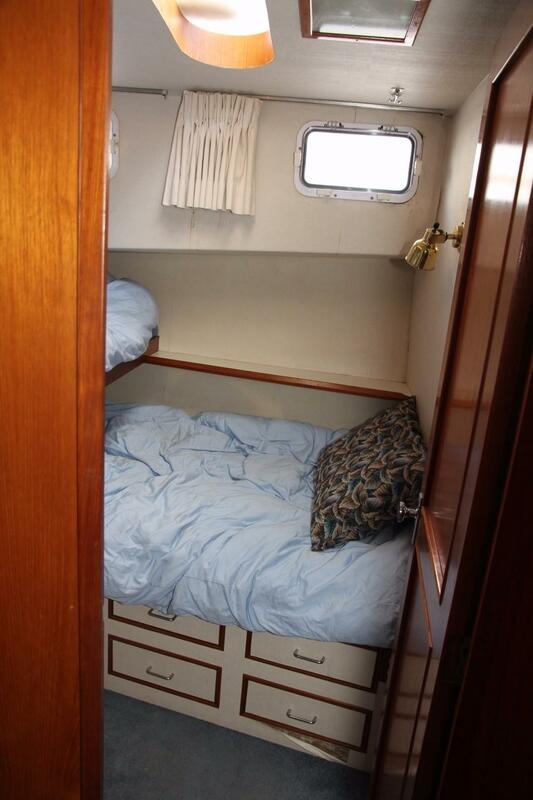 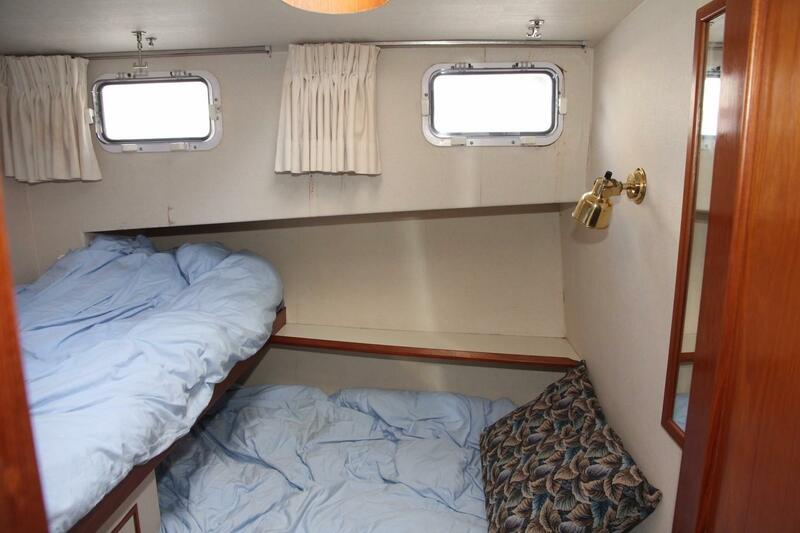 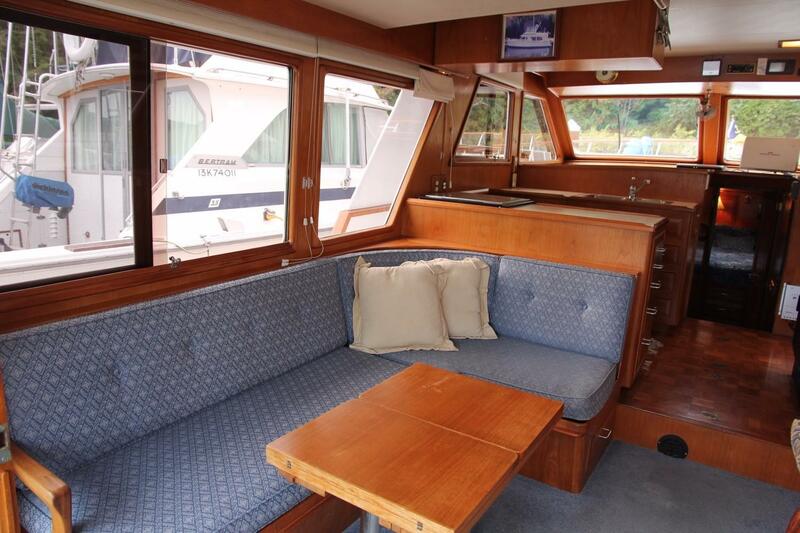 Starboard side is the shared ensuite with vanity and sink, the separate shower stall has elegant teak and glass doors. 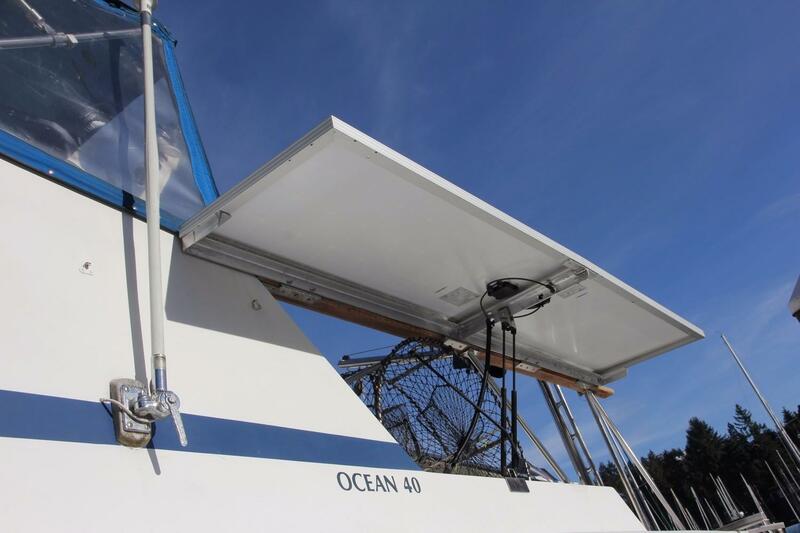 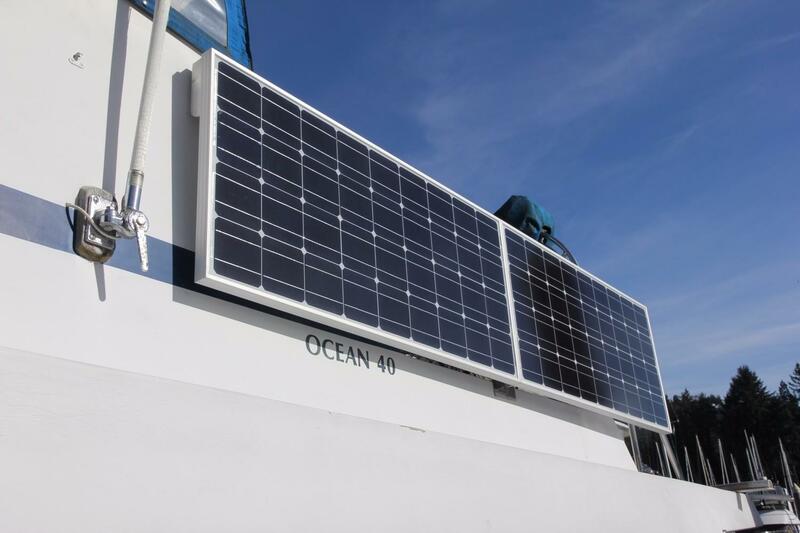 Hi there, I would like more information about the Ocean Alexander Sedan.